According to USA Today, the cost of living has increased by 30% over the past 13 years, while household incomes have only risen 28%. More Americans are relying on plastic to cover this discrepancy, which has resulted in over 1 trillion dollars in credit card debt. An essential component to stalling this trend is teaching our children the necessary life skills to manage money, avoid debt, and think ahead financially. Many of us that are struggling to make ends meet haven’t yet modeled the best spending behavior, and feel ill equipped to do so. The great news is that educating our children on how to have a healthy relationship with money doesn’t have to come from a place of doom and gloom and is less complicated than you might think. 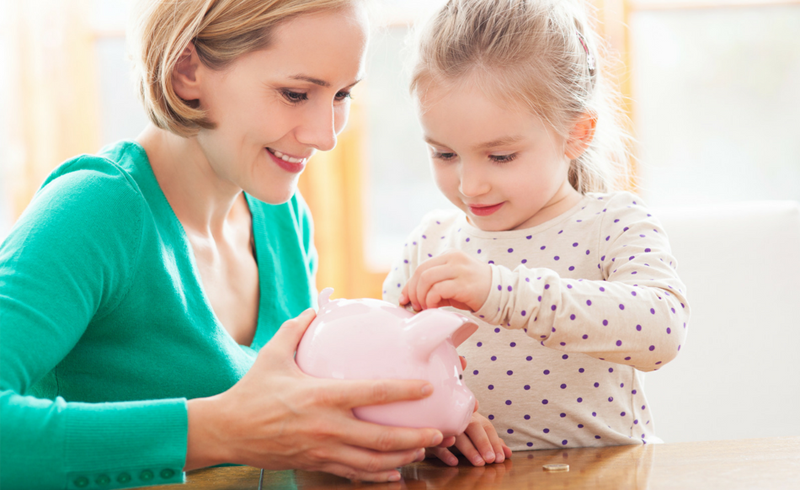 Here are six steps to set up your children to be financially responsible. My father encouraged me to be mindful about money, starting when I was just a small child. He never divulged his income or even hinted at our family’s financial health. But he made me aware of how much things cost, always encouraged frugality, and generally made the subject something to be discussed, rather than a taboo to be avoided. In fact, the Child Development Institute recommends, “Teaching your kids the value of money from an early age will only contribute to their success later in life.” Don’t worry if you haven’t yet broached the subject with your children: there is no shame in starting now, even if your kids aren’t kids anymore. Don’t worry if you haven’t yet broached the subject with your children: there is no shame in starting now, even if your kids aren’t kids anymore. Some families provide allowances as compensation for household chores. Others, like mine, consider chores a requirement for all family members and instead look for other opportunities to guide children on spending and saving. Either way, an allowance is a good tool that empowers children to manage money, even the little guys. 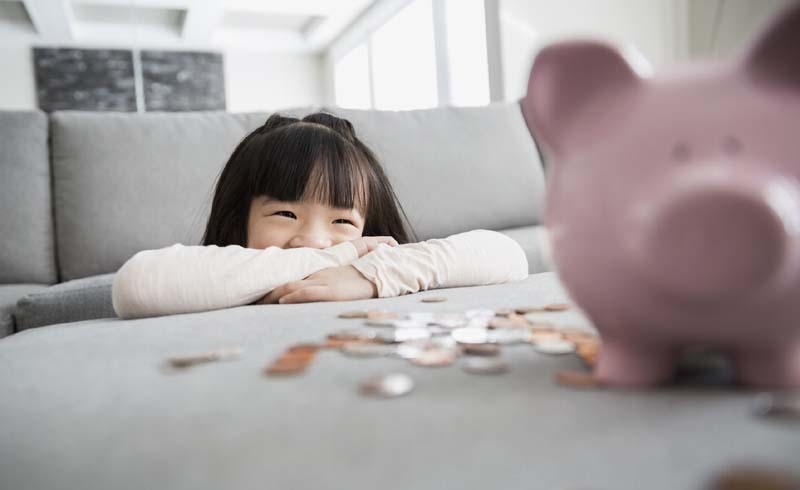 Morgan Stanley advises parents of young children to start off by providing a “special allowance,” a one-time sum of money for children to spend as they wish. For instance, the next time your family goes to a fair or finds itself in a gift shop, give each child a modest amount of money to spend at their discretion, making clear that two pencils and a t-shirt now might mean no stuffed animal later. Parents are discouraged from swaying their children so the opportunity to experience first hand the impact (and possibly, regret) of their decisions is not lost. For older children, a weekly or monthly allowance is an opportunity to refine personal spending habits rather than seek out a few dollars from parents here and there. My middle schooler has lunch-out privileges and more than once, he has learned the lesson of blowing his budget one week and having nothing left the next. By giving him a lump sum for all discretionary spending, he is forced to make sacrifices and therefore, (hopefully) arrive at smarter choices. My daughter is not a huge shopper, so whatever is leftover in her wallet at the end of every quarter goes into her savings account and those savings are expected to stay there until she is 18. But if money burns a hole in your child’s pocket, encourage them to deposit a percentage of their allowance every few months for big-ticket items. Seeing their savings account grow -- as well as their own ability to meet a goal over time -- can be a good lesson in patience and delayed gratification. Managing money in our family isn’t just about scrimping for ourselves, either. Twice a year, both kids are expected to donate a quarter of their allowance to the charitable organization of their choice, requiring them to set those funds aside throughout the year. The amounts are never significant, but the sentiments are. While sharing the size of your mortgage payment with your children may not be a great idea, clueing them in on basic expenses could help shed light on how to budget effectively. Let them in on restaurant bills and compare how much a home cooked meal might have cost by comparison. The magic is not in the few dollars saved, but rather in the early realization that spending more than we intend happens easily without a budget. When we make the choice to dine in or watch a movie at home, we set aside those savings for future needs and nothing makes a more powerful statement than a growing piggy bank. I got a credit card in my early twenties and as tempting as it was to go crazy with it, my father had taught me that not being able to pay off credit card debt was a burden I didn’t want to add to my plate. I apply that--and the idea of living beyond your means--to choices I make now as a parent. I openly mull over most purchases-–from clothing to extracurricular activities to eating out-–and avoid impulse shopping as much as possible. I hunt around for good deals on gifts and let my kids understand my thought process. When my children are tempted to make expensive purchases on an item, I encourage them to wait a week for the allure to wane. I do the same for myself. While learning to make wise spending choices in the present and setting aside funds for the future are fairly straightforward, investing is an elusive piece of the puzzle. For tweens and teens who are old enough to grasp the idea of investing, a family investment can be a fun way to watch money grow incrementally. Savings from budgeting can be set aside and put towards a stock or mutual fund purchase that can be executed online with minimal fees. Our family made a modest investment with our oldest and the discussion in the face of market fluctuations has been more valuable than any theoretical lesson. It can be tempting as adults to put blinders on when it comes to dealing with our finances, or to tell ourselves that we’ll “figure it out later.” But some of being able to turn towards money and make it feel less overwhelming starts with the early skills we're taught by our families. Few of us will model money expertise perfectly to our children, of course, but getting kids started early with these tools will only help them face their finances and their futures with confidence.